If you have used the United Airlines app in the past, you have seen the nasty Gingerbread-esque interface. Finally, it has come time for change. 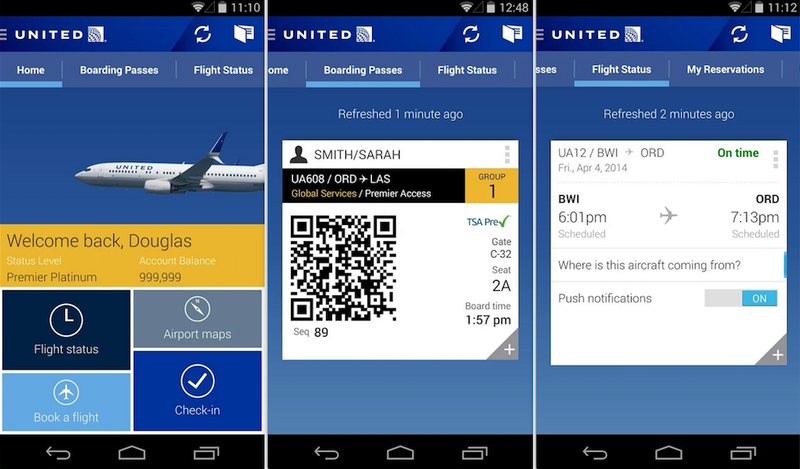 United Airlines today has announced a redesign, bringing the app back up to speed with Android 4.4 Kit Kat. Along with the retouched aesthetics, a few new features are also present. We now have an improved seat map design, as well as enhancements to the look and functionality of the flight status, mobile boarding pass, and calendar selection (while searching for flights) screen. Also in the update are a couple Android-exclusive features, which we can’t get enough of. Android users can now rotate their screen, stack multiple boarding passes, and make use of a widget through their favorite launcher. Hey, that’s better than nothing.